Among the many announcements at Google I/O in 2015 was one that seemed like a fantasy: connected clothing that could control music and lights, and even interact with images on a nearby screen. Dubbed Project Jacquard, Google proved it was serious about the tech by partnering with Levis to make a denim jacket that it showed off at last year’s I/O, and now we finally know how much it’s going to cost. And it’s not horribly expensive. Although it is a couple hundred dollars more than the Commuter Trucker Jacket on which it is based, the $350 jacket is set to go on sale in the fall (pushed back from its original spring launch), and is presumably the first in a full line of smart clothes. Google demoed the jacket at SXSW, and like a smartwatch, the technology is concentrated on the part of the sleeve near your wrist. The jacket tracks the motions you make and transmits them back to your phone via a removable tag that neatly fits into the cuff. The smart jacket transmits your motions to your phone via a tag that inserts in the cuff. Levi’s goes into a bit of depth on its Project Jaquard website, explaining that the Jaquard tech “allows you to stay connected without reaching for your phone. 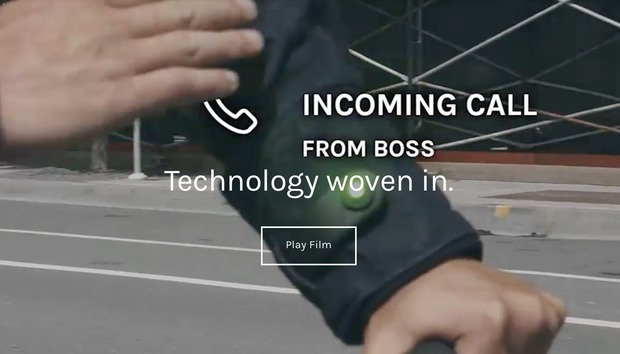 With a brush of your sleeve, you’ll be able to navigate the city, connect toy your surroundings, and communicate with ease.” It also adds that “additional features will be added to further make this jacket your co-pilot for life, on or off your bike.” The product film shows a bike rider answering a call by brushing his sleeve, so clearly the technology is geared toward a niche market, at least for now. Making a fashion statement: Smartwatches were supposed to be the thing that cut our reliance on our phones and brought our eyes back to the world, but after several years of development they haven’t quite had the impact we thought they would. So we’re still waiting for wearables to take off. While AR-powered glasses might not be ready to go mainstream, the technology in Project Jaquard could be the wearable tech we’ve been waiting for.